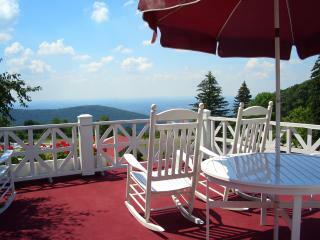 Amazing Laurel Highlands accommodations will make your stay a memorable one. There is so much to do in the Laurel Highlands, you can&apos;t possibly fit all of your plans into one day! The region&apos;s wide range of unique lodging will provide an affordable place to rest your head and recharge for the next day&apos;s itinerary. Chill out in a cozy cabin or cottage, unwind on the porch of an intimate bed and breakfast or enjoy all of the amenities at one of our top-rated hotels or luxurious resorts. Regardless of where you stay, you will wake up to views of the beautiful Laurel Highlands and be just miles (or feet) from fun-filled attractions!